People think that the effect of Gemstones suggested by the astrologers effect only psychologically but this not true. Gemstones affect overall human being in a manner that can easily be explained in the light of modern science. In most of the cases the gem stone is suggested to be worn in a particular finger. It is fact that the planets rule over particular parts of the body and they regulate the secretion of particular hormones in the body. Below the fingers and on the fingers there are marms, i.e. some points that astrologers call as mounts of the planets, and people concerned with Acupressure and Su-jok therapy relate them with the different organs of the body. By wearing the gemstone in the ring a gentle massage is made over these points and unknowingly the wearer put pressure many a times over these points. This has an effect over the health of the person either good or bad. 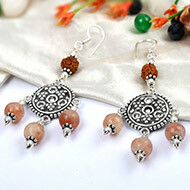 You yourself would have felt sometimes that after wearing a gemstone some people go sick. This is the effect not of the graha only, but the effect of unrequired pressure over the marms is also with it. Every Gem Stone has its particular unique chemical structure. 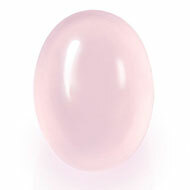 The gem stone is suggested to be worn next to skin in the finger meaning that the stone should touch the skin. The reason behind it is that the substance of the Gem stone rubbed is absorbed in very little quantity say in some molecules in the body and it works similarly as the homeopathic medicine. You should have heard about the homeopathic medicines made out of these Gem stones by putting the stones in Alcohol for a period of one day to thirty days. As these medicines work with patients the aforesaid theory is proved. The colour of the Gem stone has an effect over the Aura of the wearer and it corrects the flaws in the Aura: (sometimes called the holes in the Aura by the Reiki therapists. 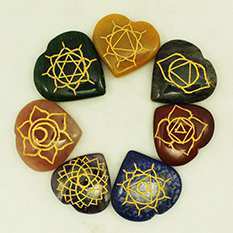 The Reiki therapists also use the Stones for healing purpose). Every Gem stones radiate a particular type of rays. These rays have an effect over the person as well as over the atmosphere around the wearer, and it changes the attitude of the persons around the wearer in favour of or against him. Also, it increases positivity or negativity in the wearer. It might have an effect over the subconscious of the person so that he is able to count the risks, decide the methods, and make calculations over the possible result of any work. The opposite is also possible if the Gem stone is not suited to him or her. The gem stone worn after proper rituals called pran-pratistha and mantra japa in front of it are more effective. Puja and japa has their own effect over human being but I have a hypothetical reason for it. We all know that sound has many effects over the things. Scientists have proved that a glass tumbler may be broken by producing a particular frequency of sound. The soldiers are said to break the Kadamtal (or marching) whence crossing over the Bridges as the frequency of it can break the bridge. It means that the sound frequency can have an effect over the crystalline structure of the things. The mantra japa (though now a days it is Moun Japa by Punditji) if done in audible sound can effect over the Gem and can correct the flaws of the Gem; if there is any regarding crystalline structure that radiate proper colour in it, to increase the positive effects. It is unfortunate that we the astrologers have confined ourselves in the old books only and we are not ready to take help of the modern science to prove the Scientific Accuracy of our ancient knowledge. To me it seems that we are afraid of being proved false or might be that we have a prejudice about the scientists that they are always against Jyotish and take it for an orthodox practice. We have taken it for fact that they will approve it only false due to their prejudice against ancient Indian Knowledge. But they are scientist and if they are given a task to bring out the truth they will certainly do so. I am sure that the day they start research in scientific way they will start believing in Jyotish as they are doing in Yoga now. We must have a firm belief that our knowledge is true, scientific and beneficial for humanity. 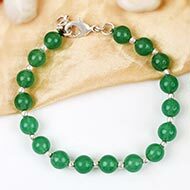 Gemstones have "powers of their own" Powers of Mother Earth accumulated in the ages inside the Bhugarbh. They give us effect because they control the body metabolism, absorb and radiate the rays of specific planets coming on earth from these planets. A gemstone gives effect not only in a specific area of life but in every matter of life but we people feel it in a particular area where we want relief or gain from the area we are much worried or concerned about.